Ever since the RX-8 went out of production seven years ago, Mazda has insisted that the rotary engine wasn’t completely dead and that work continued within the company’s walls in Hiroshima, Japan, on the engine. After announcing plans for an enlarged 16X architecture that never came to fruition, examining hydrogen and countless rumors of its return, Mazda confirmed that a Wankel would finally return as a small range extender for its first battery-electric car coming in 2019 and see work in an upcoming Toyota self-driving EV. 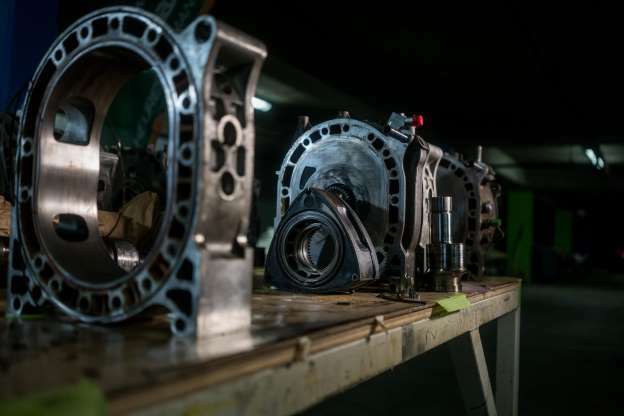 None of those applications are likely what rotary enthusiasts ideally have in mind, but according to Mazda’s vice president of R&D and design Masashi Otsuka, there’s reason to hold onto a little hope that the engine can still come back in a larger capacity. In an interview with Jalopnik at the LA Auto show, Otsuka says that Skyactiv-X engine technology that will debut under the hood of the new Mazda3 in late 2019 could potentially be applied to the rotary. Skyactiv-X combines ultra-high compression, a small supercharger, complex combustion timing, technologies derived from diesel engines and a mild hybrid system that Mazda claims to deliver better efficiency and torque from a normal gas piston engine. Whether all or some of that gets ported over to the rotary remains to be seen. If Mazda does manage to build a successor to the RX-7 or RX-8 it would fittingly join Acura and Toyota in returning storied sports cars to showrooms. The second-generation Acura NSX debuted for 2016 following an 11-year hiatus and a new Toyota Supra will make soon make its world debut at the Detroit Auto Show after being out of production 16 years. As an owner of a 1994 RX-7 R2, I’m thankful that Mazda is continuing to study the rotary that helped make them the first Japanese manufacture to outright win the 24 Hours of Le Mans in 1991 with the 787B. However, I remain skeptical of a RX series sports cars ever going back into production after years of rumors and hearing from Mazda talking heads that work on the engine is ongoing. With that said, I truly hope they prove me wrong.